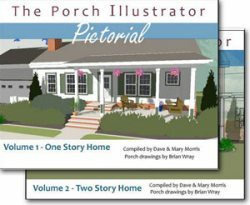 You probably didn't know all of the wood options you have when either building a new porch or renovating an old one. From the typical Southern yellow pine to exotic's like Ipe, there's a wood flooring to fit any budget or design. Many people like to paint their floors, too. 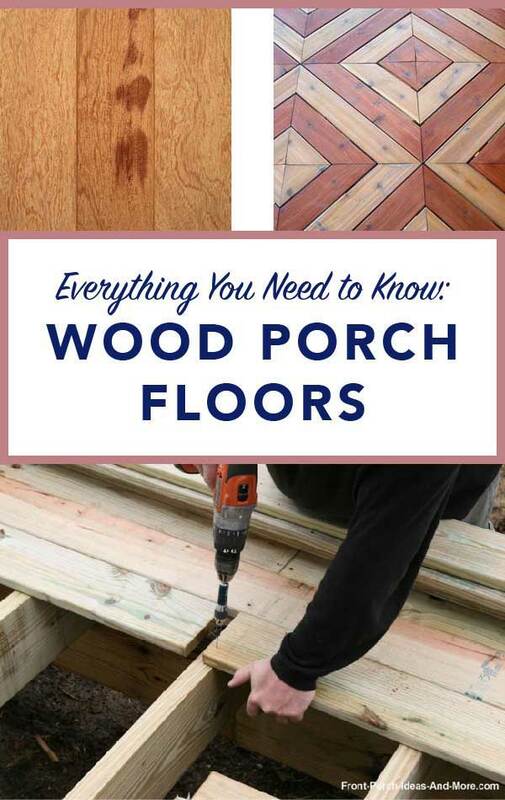 Let's sort through the wood porch flooring options first. Southern Yellow Pine (SYP) lumber has been popular since the days of George Washington. Most of us know it from building decks. 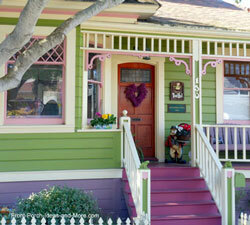 SYP can be painted or stained. Note however, that different species of SYP will take stain a little differently. 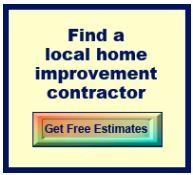 My experience has been to make sure you acquire the lumber you need from the same lot so that you minimize any differences. 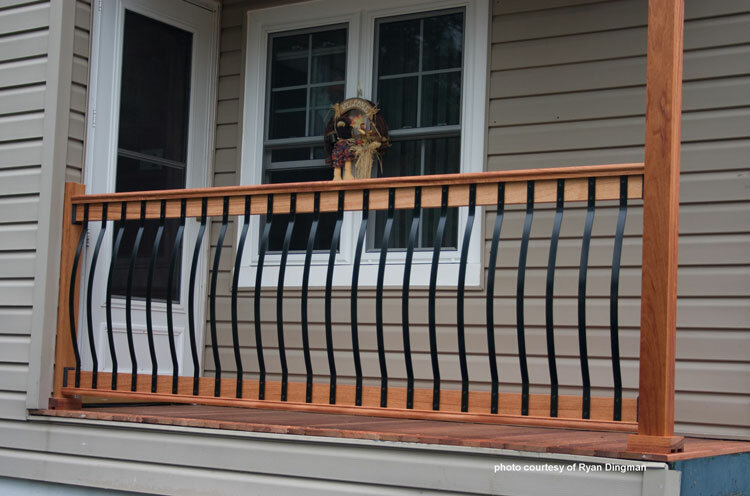 Treated decking needs regular maintenance to prolong the life of your porch. Bob Vila's renovation of an old home project shows what happens to treated wood over time. It is a very strong, dense wood, has high durability, and is resistant to splintering or cracking. It naturally resists decay, insects, and mold and therefore does not need the use of chemicals to control these. 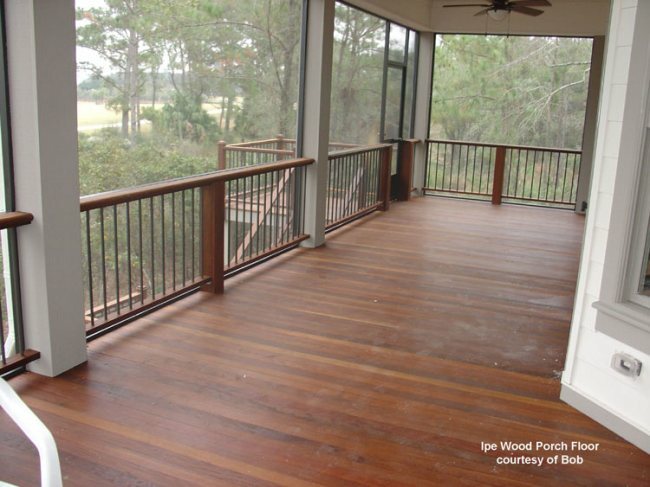 Ipe's other great feature as a wood porch flooring material is that it is also fire resistant. Because of its density, use premium carbide blades. Tigerwood is incredibly beautiful and is used for both interior and exterior applications. Tigerwood is found from Mexico throughout Central America to Brazil, Paraguay, and Bolivia. 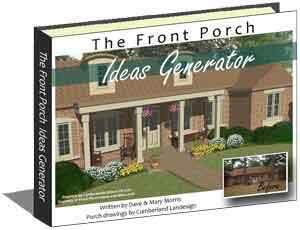 It is used for everything from musical instruments to porch flooring because it readily accepts stains. Similar to rosewood, Tigerwood comes in colors from dark red to reddish brown and has been known to be laced with black and brown stripes. Along with being very strong it has a lustrous look that appears oily. It also is resistant to insects and termites. Take note that Tigerwood is somewhat difficult to work with especially if you are using hand tools. You will find it dulls blades rather quickly. You'll want to use premium carbide blades and pre-drill and countersink any holes. Angel Heart is a super alternative to cedar and treated pine as it is stronger, aesthetically more pleasing, takes stain easily and is easier to use than other hardwoods. It is yellow to light tan in color with dark red and brown tones. 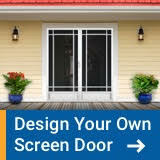 It is also very durable, resistant to rot and termites. Angel's Heart trees grow to heights over 100 feet and are found in the Brazilian Amazon region. Angel's heart is easy to work with. Pre-drill and countersink holes when using screws. Mahogany is found throughout central and South America to include some Caribbean islands. Mahogany, like Ipe and Tigerwood is strong and dense and is as hard as teak. 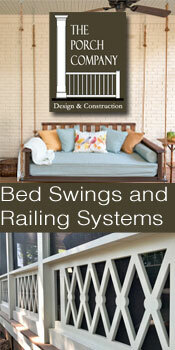 It also has the least amount of knots of other decking materials. It's rot resistance is one of its best features, so much so, that mahogany was used in boat making until replace by fiberglass. 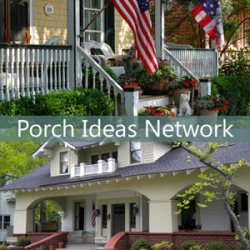 This especially makes mahogany a great wood porch flooring material for porches located along the coasts or in rainy or humid locales. Colors range from tan to auburn brown. Because of mahogany's density, pre-drill holes for either screws or nails as you risk splintering. Using screws will alleviate nail popping. 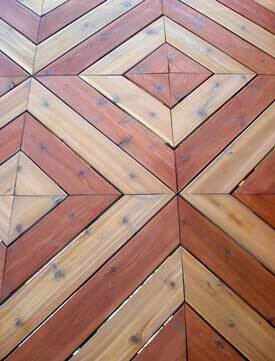 Another wood porch flooring material is cedar. It is noted for it's beauty and durability. Colors range from mellow ambers, to reddish and sienna browns. Red cedar is naturally resistant to decay and insects due to inherent oils. You need not treat red cedar unless it is in contact with the ground. 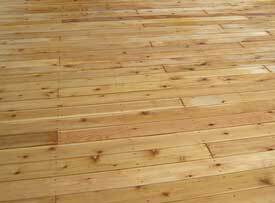 It has less than half the swelling characteristics of other softwoods and tends to lie flat and stay straight. 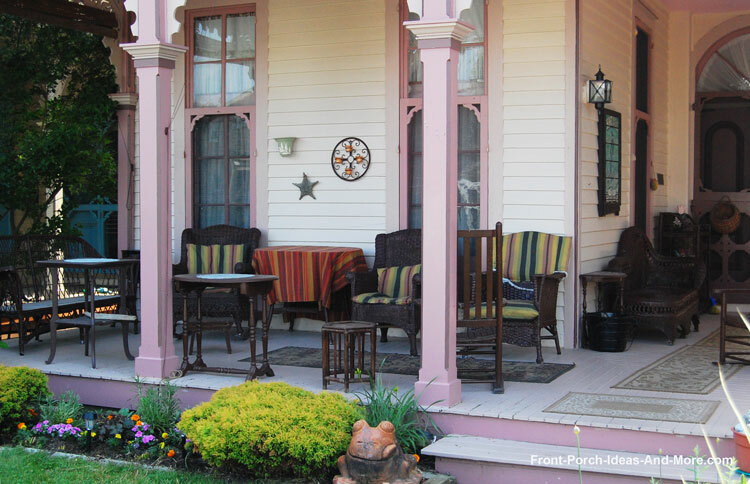 If maintained properly red cedar can last for many years and is ideal for porches in all exposures. 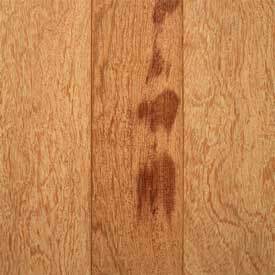 Cedar comes in four different varieties for flooring: Architect Clear for the discriminating porch floor enthusiast to Custom Knotty which is less expensive. Redwood is usually the choice for many landscape architects. It's beauty combined with it's ability to resist shrinking, warping, or cracking in addition to inherent resistance to decay and insects make this an easy choice. Redwood stays flat and straight which makes it ideal for porch flooring. It retains finishes well due to its open cell structure or can be left to weather naturally to a driftwood grey. It is also one of the most maintenance-free flooring materials. 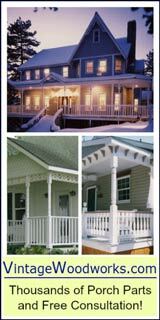 Here are other exotic woods (in alphabetical order) that are also used for porch decking. Let us know if you want more information on any of these. 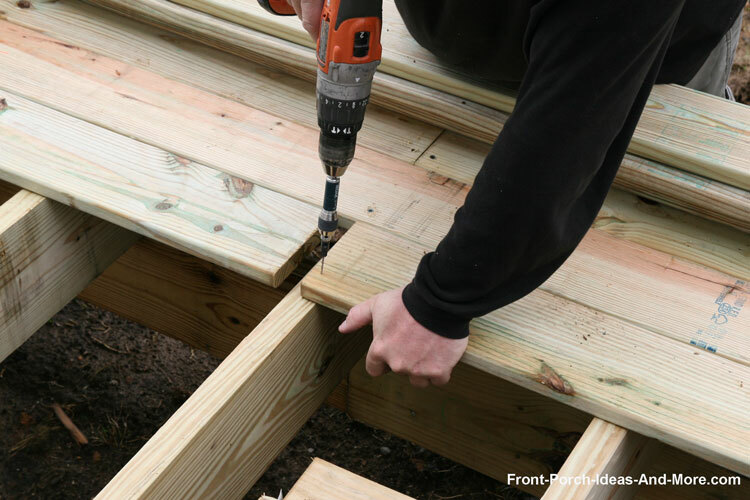 See how easy it is to convert your existing elevated wooden decking to stone, bricks, or other materials.